Our goal is to connect people with the best local experts. We scored carpet cleaners on more than 25 variables across five categories, and analysed the results to give you a hand-picked list of the best carpet cleaners in West Palm Beach, FL. 561 Carpet and Tile Cleaning and Restoration is a carpet cleaning company in Jupiter, Florida. They serve the cities of Jupiter, Tequesta, Palm Beach Gardens, North Palm Beach, Palm Beach Island, West Palm Beach, Boynton Beach, Wellington, Royal Palm, Loxahatchee, and Lake Worth, FL. They aim to help make homes clean and serene. Their services include carpet cleaning, commercial cleaning, tile cleaning, carpet protector, carpet repairs, odor removal, and area rug cleaning. 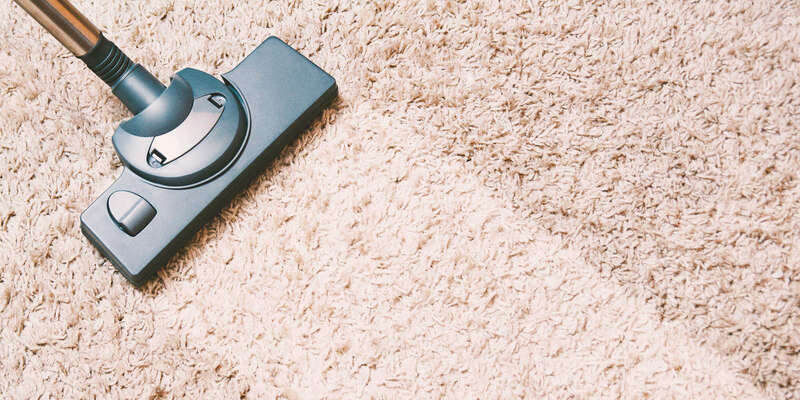 The different methods they employ to clean carpets professionally include foam cleaning, shampoo cleaning, bonnet, dry cleaning, and steam cleaning. Amazing results and quality are guaranteed. At 561 Carpet and Tile Cleaning and Restoration, they are treating homes and their client’s family like their own. A Ameri Finn is one of the foremost providers of carpet cleaning in Lantana. The company is a licensed and insured trade that has been around since 1999, and it continues to grow by referrals and repeat business. The firm is a local enterprise that shares the community’s vision of healthful and pleasant interiors, and it welcomes residential and commercial projects. A Ameri Finn has an affiliation with the Institute of Inspection Cleaning and Restoration Certification, and it performs a range of quality services, including grout color sealing. The corporate website contains the material safety data sheets for the product that the crew uses, and it features insightful articles about proper floor care. The establishment covers various South Florida neighborhoods, such as West Palm Beach, Wellington, Lake Worth, Jupiter, Delray Beach, and Boca Raton. Bright and Shiny Cleaning Company is a professional cleaning business in Palm Beach County. For nearly four decades, this family-owned business has offered their services in the local area for both commercial and residential needs. Their team specializes in carpet and floor cleaning, and are certified by the IICRC. They also carry insurance for auto, general liability, and workmen's compensation. The company strives to exceed their client’s expectations by providing a highly-trained team of technicians that offer excellent service and quality work. Previous customers highlight the team’s dedication to their craft, their friendly manner, and stellar results. Headquartered in West Palm Beach, Florida, Carpet Cleaning West Palm Beach is a professional carpet cleaning company that serves clients in the surrounding metropolitan area. The company can be contacted by email or through the messaging system on its official website for booking purposes and offers prospective clients a free quote on its services. Such services include carpet cleaning, stain removal, pet stain and odor treatments, upholstery cleaning, and the removal of allergens. The company serves both residential and commercial clients and has a social media presence on Facebook and Twitter. Previous clients praise the company for its courteous technicians. Daniel's Carpet Cleaning and Flood Services has been serving customers since 1988 and has become the trusted provider for homeowners, property managers, and landlords throughout the Palm Beach Gardens area. Whether customers just need a once-a-year cleaning to keep carpets fresh or require a deep, professional clean to get rid of deep-down pet stains, odors, and grime, the company's technicians use only the finest quality of biodegradable, kid and pet-safe cleaning agents. The company also offers emergency water restoration and has the latest industrial-grade equipment to pump out standing water and sewage, remove remaining moisture to prevent mold and mildew, and prevent further damage to properties and belongings. Located in Lake Worth, Florida, Dry Solutions is a professional carpet cleaning company that serves clients in the wider local metropolitan area. The company backs its work with a one hundred percent customer satisfaction guarantee and has been in the professional cleaning industry since its founding in 1999. Dry Solutions accepts both commercial and residential cleaning projects and offers its clients such services as carpet and rug cleaning, upholstery cleaning, tile and grout cleaning, drapery cleaning, and the application of Scotchgard protection. Dry Solutions offers a special discount to new clients and accepts Visa, MasterCard, and Discover credit cards as payment options. Merry Rug & Carpet Cleaners is the oldest, since 1946, and largest family owned and operated rug and carpet cleaning plant in Southern Florida. The company, located in West Palm Beach, can send their technicians, who have over 20 years of experience, to a customer’s home or office to clean area rugs, carpets, upholstery, leather furniture, drapery, sisals, tapestries, and mattresses. Cleaning Merry Rug & Carpet Cleaners have in-plant services that include alterations, repairs, and hand cleaning for area and oriental rugs. They also offer free rug pickup and delivery for convenience. Their website has coupons and special promotions for their services as well. Padrón Cleaning and Restoration is a Royal Palm Beach family-owned and operated business that has been serving commercial and residential customers for more than 30 years. The business provides a variety of services including carpet cleaning, pet odor and stain removal, Oriental rug cleaning, tile and grout cleaning, floor stripping and waxing, drape cleaning, mattress cleaning, air duct cleaning, dryer vent cleaning, mold damage and remediation, fire and smoke damage, water and flood damage, tile installation, carpet installation, construction clean-up, and equipment rentals. Padrón Cleaning and Restoration provides 24-hour emergency service. The business has an A+ rating from the Better Business Bureau. Padrón Cleaning and Restoration guarantees 100% satisfaction and offers free estimates. Customers appreciate their professionalism, prices, thoroughness, and customer service. TruPro Cleaning, Inc. is located in Central West Palm Beach, Florida, and serves clients in St. Lucie, Palm Beach, Broward, and Miami-Dade counties. The company is fully certified and trained by the Institute of Inspection, Cleaning, and Restoration Certification. It is a member of the Society of Cleaning and Restoration Technicians. The company prides itself on using eco-friendly products and methods to clean carpet, upholstery, tile, and grout. The technicians at TruPro Cleaning, Inc. believe in upholding the company's reputation, continuing their education, and providing an excellent service backed by the TruPro guarantee. TruPro's clients speak highly of the technicians' skill and professionalism.